The luxury Dahlia Eternalite back to wall corner bath with acrylic panel from Hudson Reed combines style and practicality. 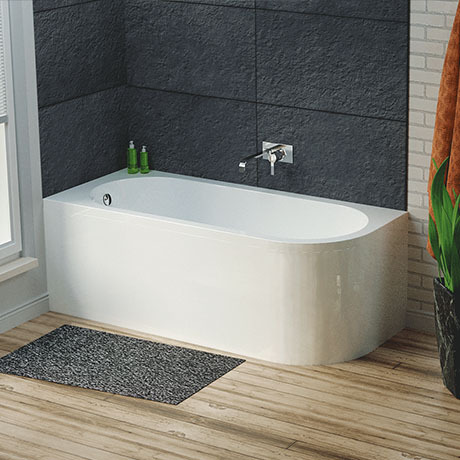 Supplied complete with a J-shaped curved front panel, this contemporary bath design fits snugly against the wall for a neat finish. The Eternalite finish ensures a rigid, super-strong bath that retains heat for up to 30 minutes longer than a standard bath. The result is the strength and weight of a cast iron bath whilst having modern day comfort and luxury.